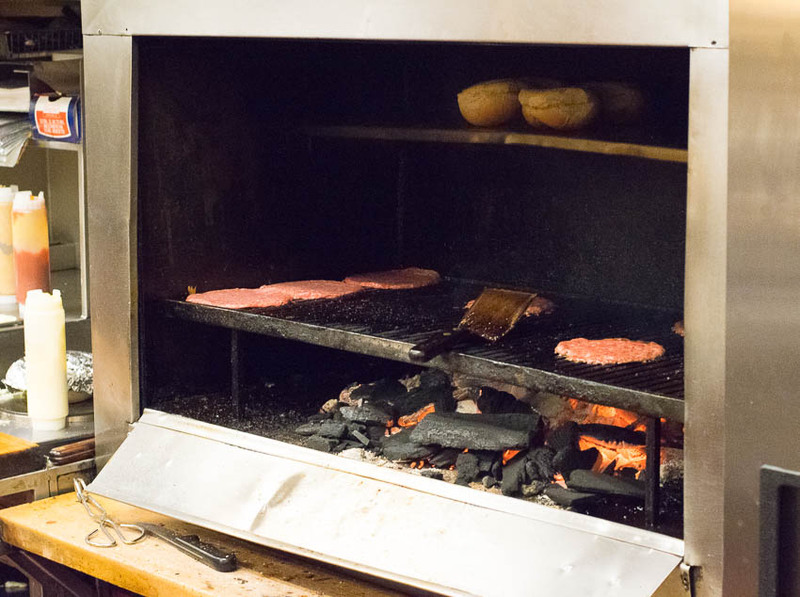 Mihm’s Charcoal Grill, located downtown Menasha, has been an institution in the Fox Valley for the past six decades. 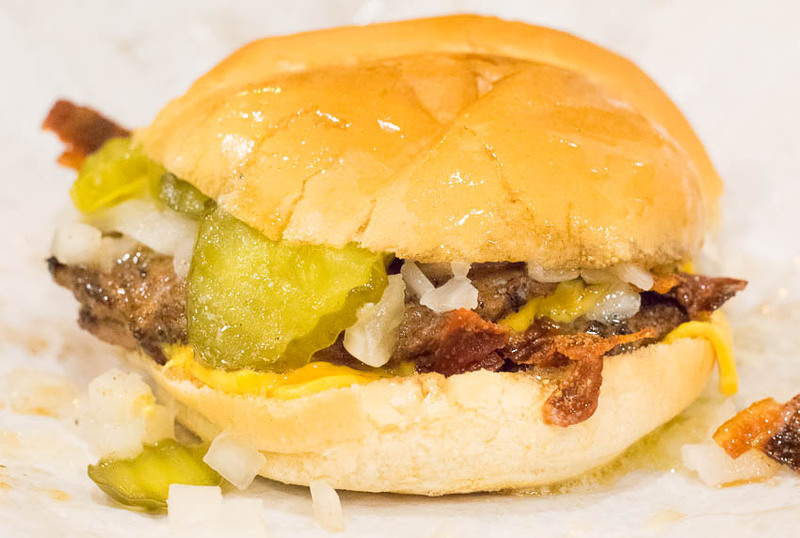 A favorite of many, it is inevitably mentioned in conversation whenever the Fox Valley’s best burgers are discussed. Serving up old-school burgers, malts, and the most butter you’ve ever seen on a plate since you’ve last tried a Paula Deen recipe, their food is endeared by many greasy spoon aficionados. Upon walking into Mihm’s you are certainly greeted with the impression that the only thing that changes here are the calendars on the wall. Though, the outdated decor seems to only lend itself to the nostalgia. My wife and I were promptly greeted upon choosing a booth by an exceptionally friendly and helpful waitress who spoke enthusiastically about the menu options. Per the waitress’ recommendation, the first item to arrive was the strawberry malt, which as she pointed out, was made from homemade ice cream and real malt powder, rather than cheaper syrups. I’m always impressed when restaurants don’t take short cuts because it comes through in the quality of the food. The malt was delectably thick, and the malted milk powder lent it a distinctive flavor reminiscent to the taste of Whoppers Malted Milk Balls. I really enjoyed getting an old-school malt done right. The side of French fries and onion rings, however, were as underwhelming as the malt was exceptional. Generic, shipped in, and desperately devoid of salt, these did nothing to enhance the dining experience. It appeared the same could be said of the other side items I inquire about as well. It was a real shame too, since the added touch of hand-cut fries and house battered rings would have been the perfect complement to their made from scratch malts and uniquely famous burgers. Instead, I halfheartedly ate the same drab crinkle cut French fries I can pick up at the grocery store down the street for $2.49 a bag. However, it is quite apparent they put a lot more effort into the burger. My double bacon cheeseburger was spilling out with pickles and chopped onion, while the patty looked like it was just rescued from being waterboarded in butter. It was clear they were not concerned with skimping on the toppings, or cardiac health in general, for that matter. The hard roll adorning this caloric catastrophe was dishearteningly dry when I took my first bite. However, that soon became irrelevant as butter proceeded to soak into every available crevice. In short order my wife and I’s buns had proven unprepared for the onslaught and had both split in half from the excessive saturation. Nonetheless, despite my lack of enthusiasm for the bun, I eagerly devoured my burger infused with that unmistakable charcoal flavor, relishing each and every last calorie. As my wife and I meandered out of the restaurant we both acknowledged the unmistakable charm that lies within one of a kind eateries like Mihm’s. There is just something special about old-school establishments offering unique cuisine you can’t order anywhere else. Mihm’s is a wonderfully unique restaurant that the Fox Valley is lucky to have, however at times it appears to lack a cohesive and consistent theme needed to separate itself as an elite Fox Valley eatery. While the malts and burgers are clearly prepared with a lot of pride, the sides largely languish as an afterthought. 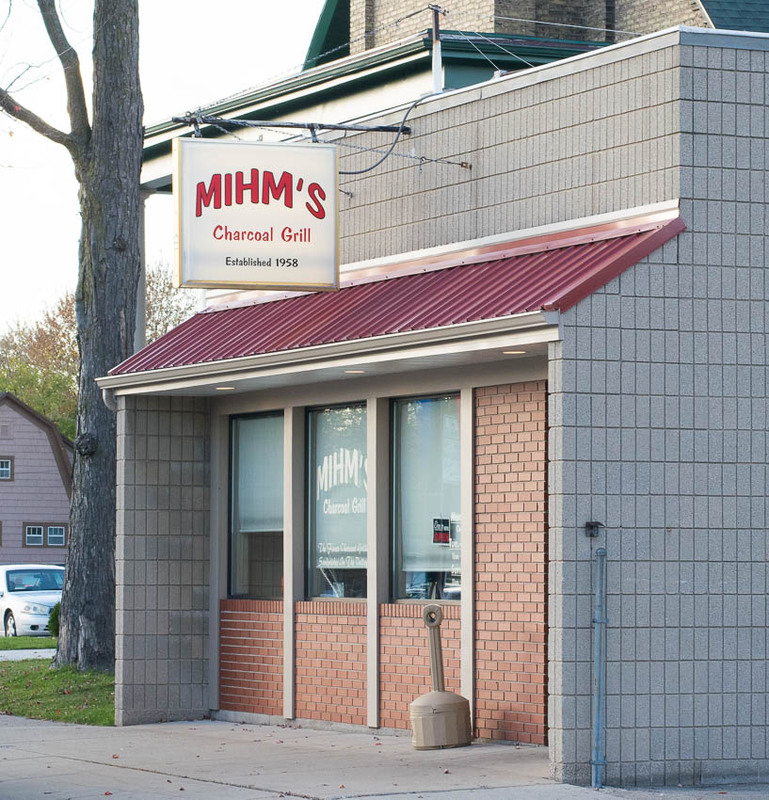 In an era where farm to table, and scratch cooking is all the rage, Mihm’s appears to be partially trapped in the TV dinner decade in which it was born. Nonetheless, my admittedly nitpicking aside, Mihm’s offers a fun and unique dining experience that I recommend everyone checks off their Fox Valley bucket list. How about you? Have you been to Mihm’s yet? Let me know what you think about them in the comments below! If you enjoyed reading my Mihm’s Charcoal Grill review then you should probably like me on Facebook and follow me on Pinterest too. That’s what I would do at least, because if you don’t get to know me but you still take my restaurant recommendations it is kind of like taking candy from a stranger, and your mom taught you not to do that. Don’t disobey your mom, subscribe to Fox Valley Foodie today. 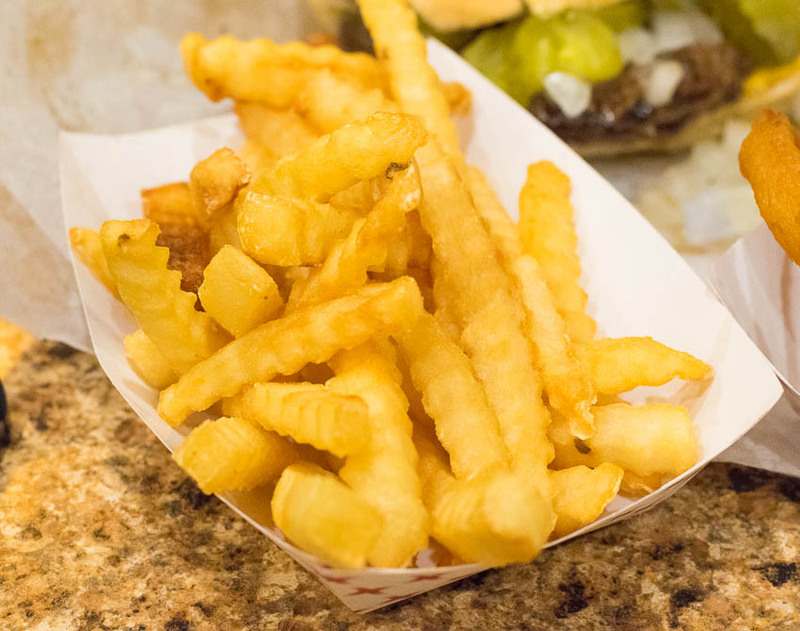 This review from the Fox Valley Foodie must have been having a bad day…You see, it doesn’t matter at Mihms if you get a bad fry or an unsalted onion ring. It doesn’t matter at Mihms if the decor is frozen in a certain time capsule. This is why Mimhs is Mihms. Almost six decades of success without changing a thing. What other business can boast that? Journalist, some things are better left untouched, with the exception of you pointing out, the little silly unsalted fries criticism. Did you honestly think anyone would take this critique seriously? Instead of making it a point to amplify a few bland crinkle cut fries , explore the magic, the experiences of what has kept Mihms, well, Mihms. Sir, those of us who are Mihm’s addicts feel you have missed the whole point of Mihm’s. I, as well as many others, have enjoyed their burgers for 6 decades. I have never gone there for the fries or malts, I go there for the burgers, period. There are no other burgers like them. Why not interview Mihm’s regulars and get a real review? Thanks for your comment, though I think you may have misunderstood the purpose of this website. Though interviewing Mihm’s regulars would make an interesting newspaper feature, I am not looking to replicate a newspaper or magazine, it just isn’t in line with what FoxValleyFoodie.com is. Nor do I intend to promote an eatery for anything other than the quality of their scratch made cuisine. The food needs to be able to speak for itself. For the past four years all restaurant reviews have been done specifically to highlight great tasting, handcrafted cuisine – it is what my core readership expects from reviews. Coming from the lens of a foodie, I certainly understand this style of review isn’t going to placate the average connoisseur. Amen Fox, keep the reviews authentic and on point! Leave the fluff for the Post Crescent! As a “raised in Menasha” person of golden years, I also have wondered why Mihm’s would not raise the quality of fries, buns and sides. If they could offer a few vegetable/salad options to entice friends who must or want to eat those items to dine with you. I have frequently opted for another location because my dining pal would not find anything to eat at that location. Love the people and the history; just want it to stay in business for another 60 some years!!! Thanks for the comment. When I started this website in 2012 it seemed very few restaurants put much effort in their sides, however I have been really pleased to watch that start to shift over the past few years. I expect the trend will continue and more will follow as people come to expect the Fox Valley to offer the same level of food quality one can easily find in larger areas like Madison, Milwaukee etc… Burger Joints in particular are ramping up their fry quality, just look at Serious Burger, Milwaukee Burger Company, Five Guys, and Mr. Brews. 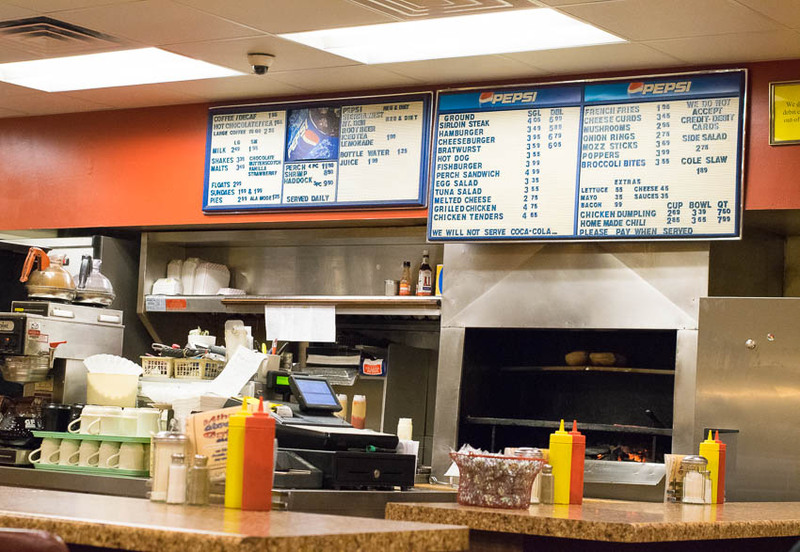 All of them serve hand-cut fries, none of which have been around Appleton more than a few years. Fresh is becoming the new standard in the Fox Valley!